Herbal Roots zine is a monthly PDF file that is issued on the first of each month (annual subscribers get a jump start, receiving their issue either the last Friday or Monday of the month). Each edition focuses on one herb and contains many activities to make learning about that herb a lot of fun. There are stories, crossword puzzles, mazes, crafts, recipes and much more! 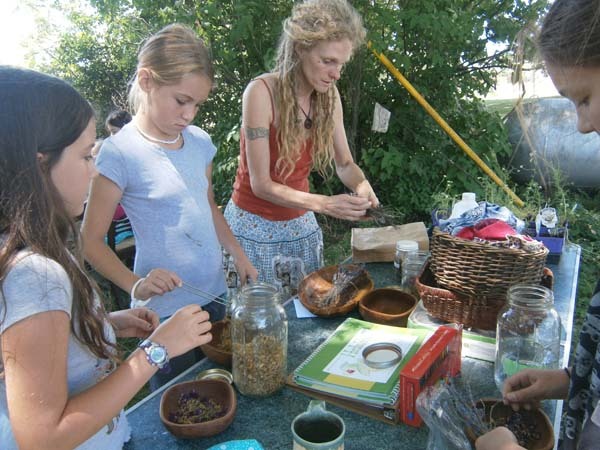 If you are looking for a herbal course that is easy to understand and has the ability to teach children about herbs, look no further! 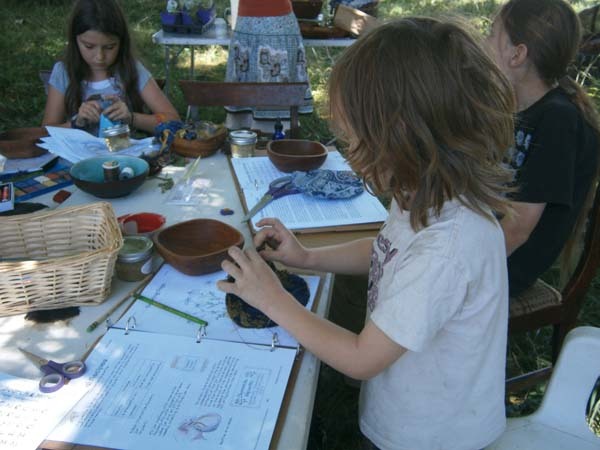 Herbal Roots zine is designed to raise the interest level of children and adults through hands-on learning and repetition. Homeschoolers and non-homeschoolers alike have found Herbal Roots zine a valuable learning resource for a subject that does not have many opportunities available for children: herbal healing. My love of plants began at a very young age. When I was 2, my family moved from town to the country, on a 14 acre farm. At 3 I got my first pony and spent most of my childhood on horseback, in our pond or in the woods exploring and building playhouses. I was fascinated with the wild plants that grew all around, often harvesting wild onion and other wild edibles to make foods to feed myself and my friends who dared try them. I credit my paternal grandmother with instilling this curiosity of the wild plants that grew as I spent many weekends with her, listening to her stories of eating dock leaves and smoking grape vines (don’t try this at home, kids, take my word for it, it’s not worth it). I grew up, moved out of the house and went through several careers before returning back to the plants. After the birth of my first child, I started questioning health and how to be healthy more naturally. Echinacea was the first herb I used medicinally and drew me to herbalism. As I grew more interested in the plants, so did my garden grow. Eventually I returned to the (pseudo) country where I live with my partner and 4 of our children (2, including my oldest who spurred my desire to learn about herbs, are now grown), many chickens, turkeys, goats, sheep, cats and a dog plus numerous gardens and orchards. I eat, breath and sleep herbs on our tiny farmette. Currently, I’m a practicing herbalist and homeschooling mother of 2 of our children. I have studied with Rosemary Gladstar of Sage Mountain and have spent countless hours of research and study through my own pursuit with great herbalists such as Isla Burgess, jim mcdonald, Matthew Wood, Leslie Alexander, Gail Faith Edwards, Kathleen Maier and more. I offer an herbal soap and personal product line through my local farmer’s market, area festivals and online, do consultations, teach medicine making classes to adults, offer herbal work shops for kids and run a monthly herbal study group, focusing mainly on locally found herbs, enabling the community to take control of growing and wild crafting their own medicine. 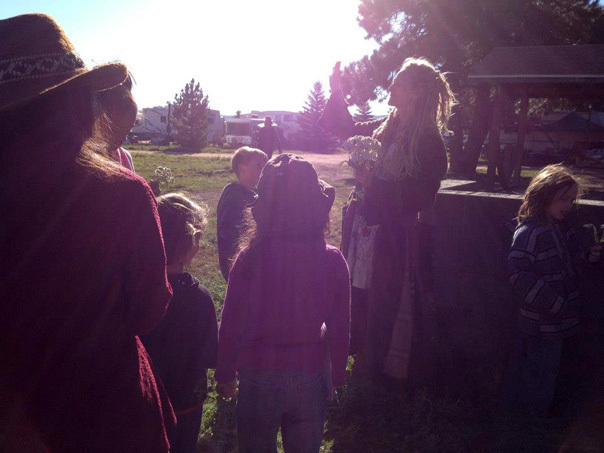 Teaching others about herbs is my focus with a passion on sharing my knowledge with children as they ARE our future!